Changbaishan is not just a mountain, its also a National Park, and has many things to see apart from the world famous Heaven(ly) Lake. Because of it's remote location you will inevitably be spending a couple of days there so make a little holiday of it and explore the park as well as the peak. Just be warned, accessing the park is quite expensive and an entrance ticket is only valid one day. Because its quite pricy, Chinese people generally take a tour to the mountain to save money, which is how I went there. But if you feel like doing things on your own, its completely possible and simpler than you would imagine. If you are interested in taking a tour, click here for my review of the tour to Changbaishan. However you get to Changbaishan your first stop will either be Baihe (for the Northern Slope) or Songjianghe (for the Western slope). Both towns have train stations as well as bus stations, giving access to and from most nearby cities. Check the train times here. Because Changbaishan is a major tourist destination, there are plenty of buses and trains to Baihe and Songjianghe and there are also many buses to Changbaishan National Park. Just remember to leave earlier rather than later because the mountain will get cold towards the evening, and buses stop running relatively early. Baihe has everything you need from a tourist town, restaurants, a range of cheap to expensive hotels, food shops and souvenir shops. It's not too overpriced, probably because most of the tourists there are Chinese and not foreign. When you arrive you will have no problem finding somewhere to stay. If the weather's really bad there's a museum nearby but generally people go to a mountain to see a mountain, not to stay indoors and go to museums. Changbaishan is a very high mountain in a cold part of the world. This means that things generally shut down in the winter, and the peak becomes inaccessible because of snow and ice for a lot of the year. The recommended time to go is May to September, and outside this season there may well be no entrance to the park. 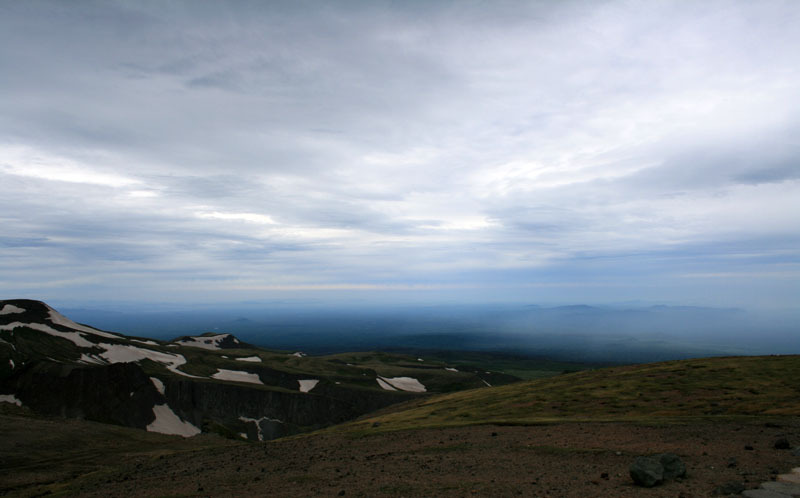 The top of the mountain is cold, so bring a windbreaker and wear long trousers even in the summer. The rest of the park is hot and sweaty at this time of year. Also it might be worth checking the weather forecast. If there's fog, cloud or rain (which is likely) you will not be able to see anything. The best time of day to get to the park is after 9.00am. 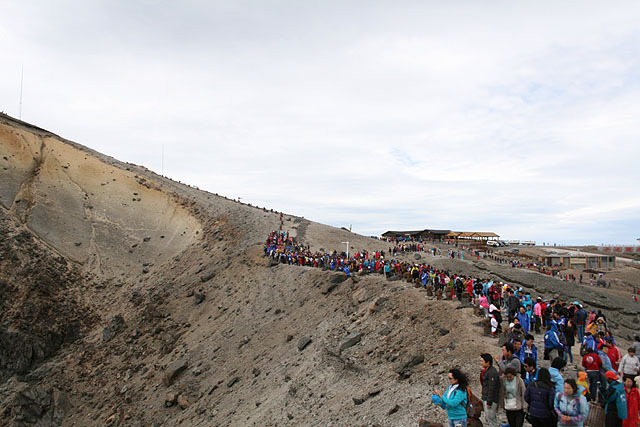 Although the adage "earlier is better" all the tour companies get to the mountain very early in the morning and the crowds are insane. When I got down from the mountain at about 11.30am there were no queues and hardly any people because all the tour groups had already left!